AMRAM CGKIT-A Amram Comfort Grip Standard Tagging Gun Kit for Clothing. Easy to Load, Easy to Use! Includes 1250 2" Attachments and 5 Needles. The all new re-engineered Amram Comfort Grip Tagging gun operates more comfortably and smoothly, resulting in an even better user experience, better & increased productivity, and less fatigue. Value added bonus kit contains 1250 standard attachments and 5 needles, making this tagging gun kit an ideal choice for all types of tag attaching projects. 1 needle is preloaded in the safety cap and 4 needles are packed in a convenient plastic storage case. The tagging gun kit includes easy to follow instructions to help get you tagging quickly and effortlessly. Use the standard tagging gun for wool, linen, cotton, denim, polyester and synthetic fabrics. Do not use this kit on silk, fine or delicate fabrics. 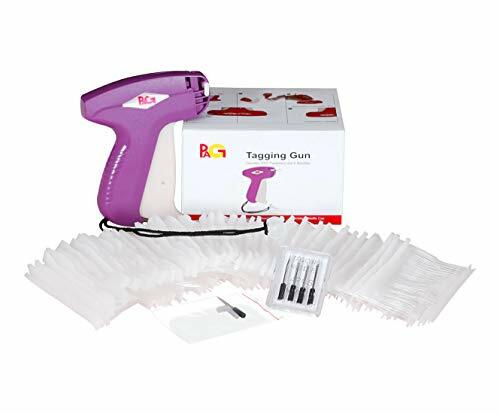 Used by manufacturers and retailers, this tagging gun kit is a perfect choice for stores, boutiques, consignment and yard sales. The tag guns are specially designed and engineered for long term usage and optimal performance. The comfort grip rubberized handle and trigger reduces user fatigue and makes the tagging gun really comfortable and easy to use. We recommend using Amram brand replacement needles and attachments. Standard and Fine needles and attachments are not interchangeable with each other. Not for use with fine needles or fine attachments. The all new re-engineered Amram Comfort Grip Tagging gun operates more comfortably and smoothly, resulting in an even better user experience, better and increased productivity, and less fatigue. 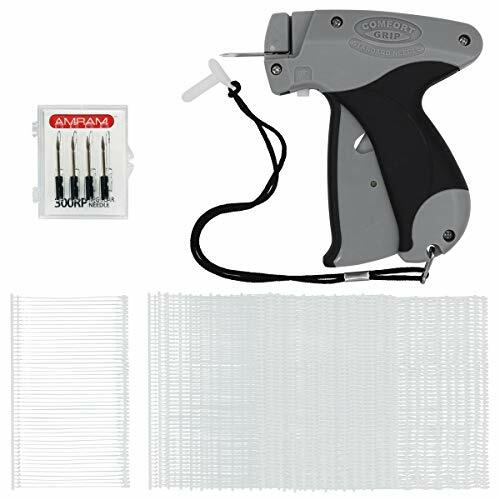 Value added bonus kit contains 1250 standard attachments and 5 needles, making this tagging gun kit an ideal choice for all types of tag attaching projects. 1 needle is preloaded in the safety cap and 4 needles are packed in a convenient plastic storage case. The tagging gun kit includes easy to follow instructions to help get you tagging quickly and effortlessly. Use the standard tagging gun for wool, linen, cotton, denim, polyester and synthetic fabrics. Do not use this kit on silk, fine or delicate fabrics. Used by manufacturers and retailers, this tagging gun kit is a perfect choice for stores, boutiques, consignment and yard sales. The tag guns are specially designed and engineered for long term usage and optimal performance. The comfort grip rubberized handle and trigger reduces user fatigue and makes the tagging gun really comfortable and easy to use. We recommend using Amram brand replacement needles and attachments. Standard and Fine needles and attachments are not interchangeable with each other. Not for use with fine needles or fine attachments. 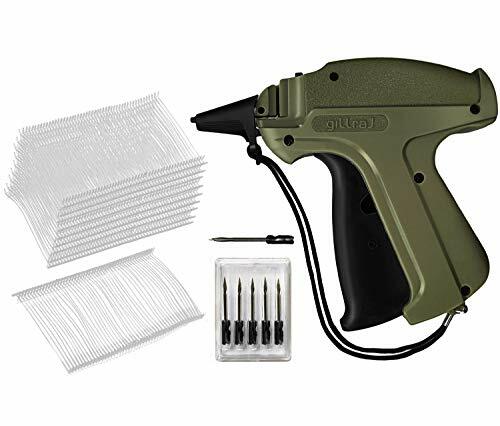 PAG price tag gun standard attached tagging gun for clothing with 5 needles and 2000 2" barbs fasteners, purple PAG industry standard tagging gun, with ergonomically designed, includes rubberized trigger and handle to reduce user fatigue. Comfortable and easy to use, an easy-squeeze mechanism make it easily become the first choice for tagging application. Designed for use with fabrics including wool, linen, cotton, denim, polyester, synthetic, natural and others fabrics. Not for use on silk or delicate fabrics. PAG standard tagging gun set, including 1 standard tagging gun, 5 needles and 2000pcs standard tag barb fasteners, which are ideal used for all light weight, medium weight and heavy weight tagging applications. A good assistant for all retail business men. The tagging gun comes with a roped plastic guard to put over the end of the sharp needle for safety purposes. The tagging gun can be used with any size or brand of standard attachments. Ideal choice for all forms of standard tagging. For best results, use only with PAG brand replacement needles and attachments. Note: This product is not interchangeable or usable with fine needles or fine attachments. Brand: PAG material: Plastic color: Purple model: Standard gun size: 3.94" x 5.31" x 0.94" combination: 1 standard tag gun + 5 needles + 2000pcs standard tag fasteners. These pre-priced labels have been used by over 2 million consumers nationwide. 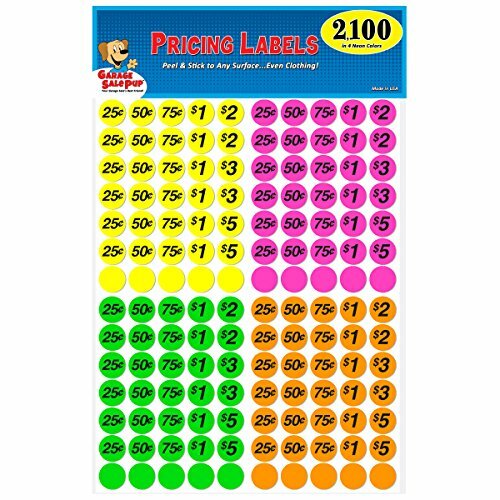 Save time and make hosting your sale easy, fun and professional with these color coded pricing stickers. Labels stick to all surfaces, even clothing and are easily removable. Perfect for single or multi-family sales. With four different neon colors these price stickers are perfect for organizing your sale into sections like household, clothing, tools, etc. They are also great for multi-family sales. A different color for each family ensures accurate accounting of what has sold. Colors include neon green, neon orange, neon yellow and neon pink. Each label is " diameter and is self-adhesive type. Make pricing your next sale fast, fun and easy. Labels are Made in the U.S.A.
Four neon colors are perfect for organizing into sections like household, clothing, tools, etc. Size : Stickers are 3/4 inch in diameter. 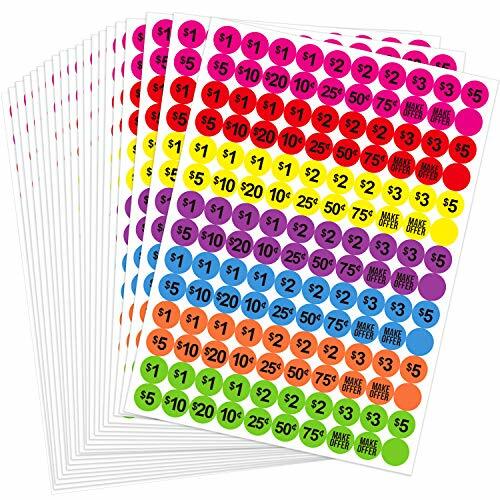 Package 16 sheets, 140 stickers per sheet for a total of 2240 stickers. four kinds of colors. Material : Eco-Friendly Water Base Ink Print - No worries, ink is dry! Guarantee Completely not satisfied with your purchase? Kindly let us know, and a FULL refund or replacement will be given, no questions asked. 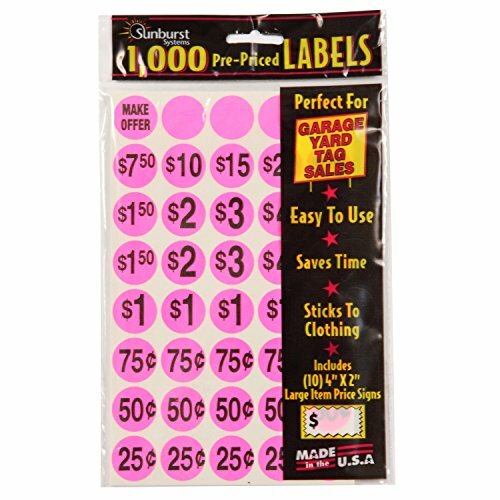 Removable Preprinted Garage Sale Labels are round labels that feature preprinted popular prices ranging from 50 cents to $15, plus additional blank labels that allow you to add your own price. Bright colors draw the eye so customers can quickly locate pricing information without having to ask you. Removable adhesive ensures that buyers will be able to remove price tags easily so they can fully enjoy their purchases. With these convenient pricing labels, your next garage sale will be easier than ever. 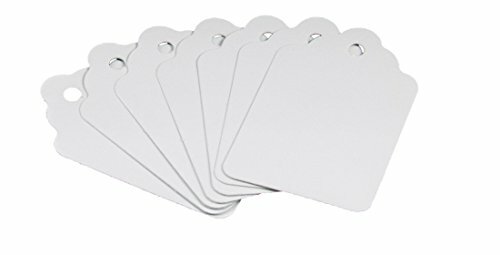 3/4" round Garage Sales Labels (19 mm) price stickers adhere firmly to many surfaces, small, big items like clothing, housewares, tools, books, boxes and etc. Great to use as garage sale stickers. 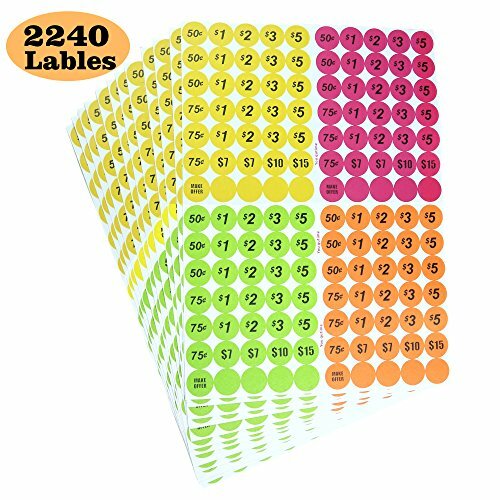 Save time and make hosting your sale easy, fun with these color coded pricing stickers,Stick to all surfaces even clothing and easily removable. Ensuring the best quality standards and user comfort we offer you the industry standard Retail tagging guns. Perfect for both consumer and commercial use no matter how demanding your work is. -Read the user manual carefully before installing needle or attachments. -If fabric is very fine or thin, only insert the gun needle in seams or pre-sewn labels -Always keep the needle covered with the protective cap (included), when gun is not in use -This is a standard needle garment tagging gun, so only use standard attachments. You may use any brand's standard attachments. STANDARD PIN TAGGING GUN: Durable hard plastic construction clothing tagger gun with standard size stainless steel needles. Heavy-duty body and long-lasting mechanism makes it perfect for any demand of work both in private and professional work environment. BEST VALUE PACKAGE: A great value complete tagging gun kit includes standard 2 inch 5000 Propylene material fasteners / Barbs that firmly attach hang tags to your merchandise. Enough quantity that will last a long time. There are 6 standard size stainless steel replacement needles also included. USER FRIENDLY & SAFE: This clothes tagging gun / pistola etiquetadora de ropa, is very easy to operate. Carefully read the instructions manual included in the box to avoid any inconvenience in usage or damage to the product. Sharp needles may cause injury, so always keep the safety cap on the needle when not in use. USAGE PRECAUTION: Our pricing tag gun is safe to use on most of the fabrics preferably thick ones. However standard needles are thick that may easily leave a hole if used in very fine delicate fabrics. In that case it's advisable to use it in seams of the garment or on the sewn-in labels. SATISFACTION GUARANTEED: We always try to make sure that you get the best quality and strive to ensure user comfort and satisfaction. However if you have any issues while using this tag gun kit please contact us for any specific instructions or we can send replacement or refund if necessary. They are good for single or multi-family sales, can be easily sticked to all surfaces and removable, bright neon colors can let customers notice it quickly. COMPATIBLE for use with other brands of tagging guns. CONVENIENT Storage box. USE with Standard or Fine tag attaching guns. AMRAM brand products are the choice of professionals in the retail and manufacturing industries for close to 50 years. Be sure to view all of our Amazon ASINs for a product solution that works best for you. 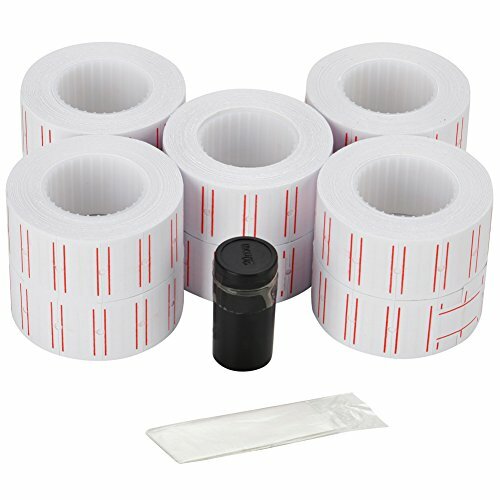 Size information: (2.1 x 5.5) cm (H x diameter This price gun labels are for Mx-5500, and you will get 1 piece refill ink roll and 1 pair transparent disposable gloves to change the new refill ink roll. Dry quickly, clear, not mixed. Gun ink roller for use with a wide range of pricing guns. Using genuine Monarch labels you get great readability and strong adhesive. These adhesive labels stick securely, even to frozen foods. An easy-load ink roller. Utilizes their patented inking system. 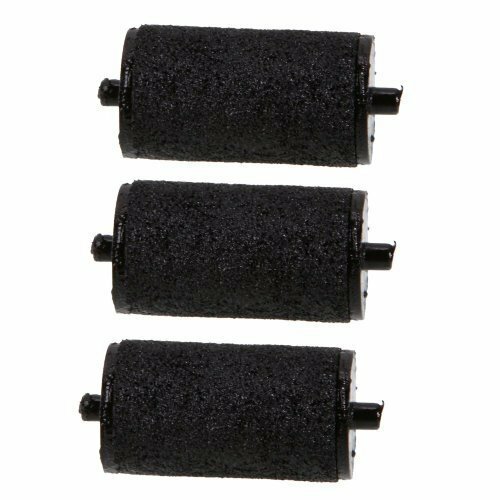 Device Types: Pricemarker; Global Product Type: Ink Rollers; Color(s): Black; OEM/Compatible: Compatible. 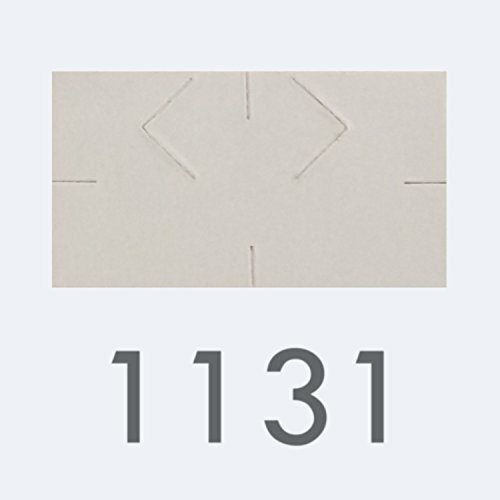 this is a high quality USA made label for the Monarch 1131 guaranteed to perform in your 1131 labeler ! 8 Rolls of white permanent labels 2500 labels per roll !! These labels will fit the Monarch / Paxar 1131 * series 1 line Labelers. Ink roller included ! 2500 labels per roll !! Acehome Standard Tag Gun Whether you are a retailer, merchant and online seller or you are often involved in a consignment sale, you need to price something. A tagging gun with good quality should be your best choice. Our Acehome Clothes Tagging Gun has good quality: Comfortable,Durable,Easy to use & Anti-fatigue. Super value! Our clothes tagging gun is designed ergonomically based, comfortable grip! There is a graphic instructions helping you learn to use and load the fasteners within one minute, totally a no-brainer! Just pull the trigger, the tag gun will make pricing so much easier. Not only for commercial purpose, the tagging gun can be used in many household occasions. When a multi-family yard sale is upcoming, this clothes tag gun will help you a lot. When your children yank off tags from their new clothes but they don't fit well, you can tag again and return the clothes back without extra trouble. Material : ABS, it is durable and non-toxic plastic Comfortable Grip--Our clothes tagging gun is designed ergonomically based. 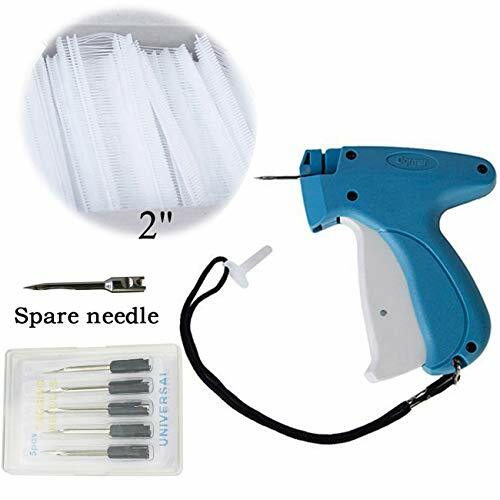 Package Included: 1 X Standard Tag gun 1000pcs 2" Standard Barbs 6 X Needles Warm Tips: --Please read the instructions before use it. Just need one minute, easy to understand and follow. --Please put the label attacher tag gun on somewhere children can not get. --When not in use, please protect the needle by covering it with the cap. --Please DO NOT use the tag gun aim at people, the needle is steel forged,really sharp. --Standard guns are made for regular fabrics. The fine taggers are for use with fine fabrics and delicates and knits. 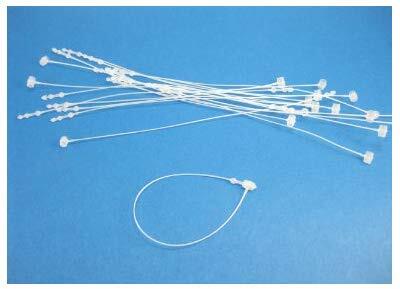 --Fine fastener only work with fine needle and fine tagging gun,can not be used with standard needle and standard tagging gun. 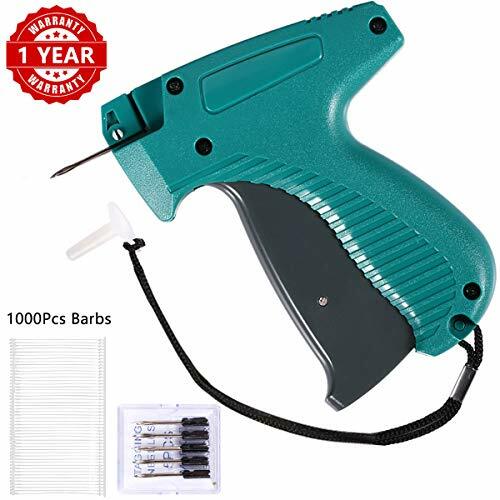 Good Quality Durable hard plastic Acehome clothing tagger gun with standard size stainless steel needles - Under the correct operation, our clothes tagging gun still work well even though after thousands of times use. Easy To Use The load of attachments and the replacement of needle both won't take you too much effort. You can learn to use this tag gun within one minute so long as you have read the instructions. Applied To Various Cloth The price gun designed for use with regular fabrics including wool, linen, cotton, denim, polyester, synthetic, natural, and others fabrics. Do not use the tag gun on silk or any delicate and fine fabrics. Wide Applications It's a great tool for attaching cardboards/ brand labels/ price labels to clothes, garments, toys, luggage, socks,bags etc. Perfect for shops, boutiques, retailers, online seller, garment factory. Usage Precaution Acehome pricing tag gun is safe to use on most of the fabrics perfectly thick ones. However standard needle is 0.08 inch thick that may easily leave a visible hole if used on very fine delicate fabrics.So you had better attach fastener in seams of the garment or on the sewn-in labels to hide the hole as much as possible. 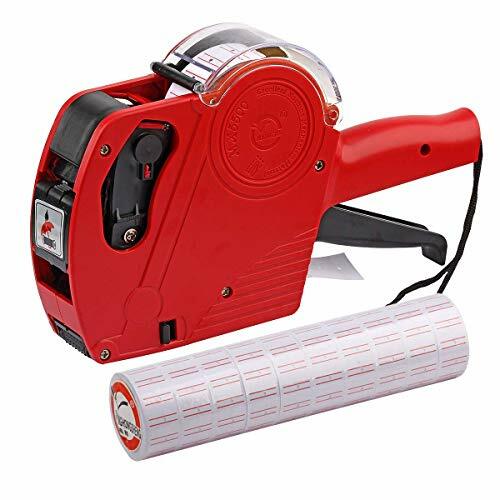 Pag standard tagging gun price tag gun for clothes with 5 needls and 2000 2" barbs fasteners pag industry standard tagging gun, with ergonomically designed, includes rubberized trigger and handle to reduce user fatigue. Comfortable and easy to use, an easy-squeeze mechanism make it easily become the first choice for tagging application. Designed for use with fabrics including wool, linen, cotton, denim, polyester, synthetic, natural and others fabrics. Not for use on silk or delicate fabrics. Pag standard tagging gun set, including 1 standard tagging gun, 5 needles and 2000pcs standard tag barb fasteners, which are ideal used for all light weight, medium weight and heavy weight tagging applications. A good assistant for all retail business men. The tagging gun comes with a roped plastic guard to put over the end of the sharp needle for safety purposes. The tagging gun can be used with any size or brand of standard attachments. Ideal choice for all forms of standard tagging. For best results, use only with pag brand replacement needles and attachments. Note: This product is not interchangeable or usable with fine needles or fine attachments. Brand: Pag material: Plastic color: Purple gun size: 3.94" x 5.31" x 0.94" combination: 1 standard tag attacher gun + 5 needles + 2000pcs standard tag fasteners. Comfortable and easy to use! PAG tag gun is designed ergonomically based. There's nothing more annoying and time consuming than pricemarking labels that don't fit your pricing gun perfectly. These labels have been precision cut to 0.75" x 0.4375". They perfectly fit all Monarch 1131 models, so that you can save time while loading. You'll experience quick loading and a smooth operation that makes pricing up your inventory much faster and easier. 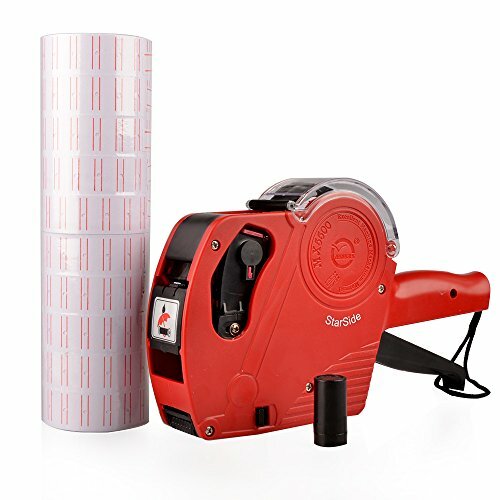 You'll also save time by loading less often, as each roll contains 2500 labels. These labels come in a plain white color, which makes it easy for both customers and staff to quickly see the price label. They are backed with a strong, secure adhesive that sticks easily. There's also a security slit in each label to prevent tampering. 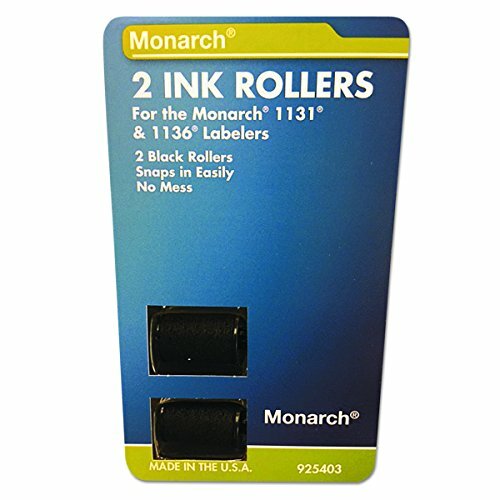 With each sleeve you'll receive a bonus blue/black ink roll, which also fit perfectly into your Monarch 1131 price gun. These inkers create a bold, easy-to-see print. We want you to try these labels for yourself, absolutely risk free. If you aren't completely satisfied, for any reason at all, then we'll be more than happy to send you a replacement or give you a full refund. We're proud to offer unbeatable support to all of our customers, so just let us know if there's a problem and we'll immediately put it right - guaranteed. 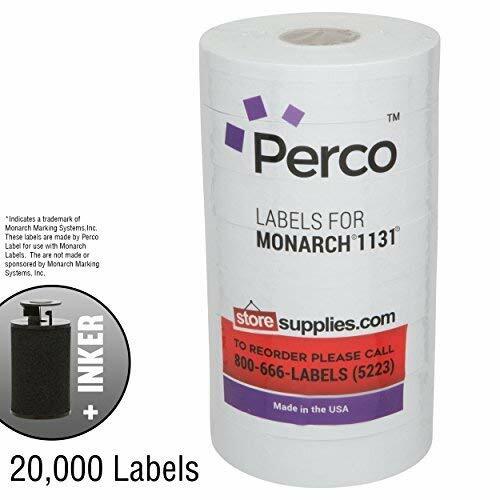 *These labels are made by Perco Label for use with Monarch labelers. They are not made or sponsored by Monarch Marking Systems, Inc.
STRONG ADHESIVE LABELS: backed with a strong glue that sticks firmly and security slits to prevent tempering. MADE IN USA: We use top quality materials and offer unbeatable support to all of our customers. Satisfaction guaranteed or your money back.